Could this Smart ‘Meter’ Case Have Been Won? Many of us have been planning for some time how to bring a really good smart electric “meter” lawsuit against DTE. This would be a case seeking injunctive relief against DTE’s illegal installations, and based on sound legal principles. During the week of January 26th, we saw an example of what can happen when a poorly conceived and/or poorly executed lawsuit against a utility gets in court. This article is based on an actual review of the public court documents in the case of Andrea McNinch and Phillip R. Sullivan vs. DTE. It is with some reluctance we tell this story as we remain grateful for all McNinch did in arranging a free showing of the movie “Take Back Your Power” at the Royal Oak Main Theater on December 10th. Nevertheless, not to report this story would leave an impression on many who are fighting smart “meters” that our cause was dealt a major setback. As reported by the Oakland Press and Channel 7 News, DTE shut off electric power to Royal Oak resident Andrea McNinch in December over a smart meter issue. She and her husband filed, representing themselves, a lawsuit against the utility in January in Oakland Circuit Court. Her husband was DTE’s customer of record. The suit sought an injunction to require DTE to restore her power. On January 28th the court, following a motion hearing, declined to grant an injunction to plaintiff but did not close the case. A counter claim by DTE is apparently still pending. Why did this happen? Of course this electric power shut off was, in fact, an injustice to McNinch. The device DTE calls a “smart meter” or “advanced meter” is in fact an electronic device that in no way conforms to the definition of “meter” that is in the statute and in the MPSC regulations. While it has the ability to measure electric consumption for billing purposes it is so much more than that so that we will refer to it as the “smart device”. No law or MPSC regulation has established that a condition for receiving electrical service from DTE is that the customer must accept either a smart device with radio on or a smart device with radio turned off. There is authority in the law and in the regulations for the installation of a “meter” only. When DTE installed the “smart device” on the McNinch home without customer consent they committed an illegal act. They are getting away with such illegal acts on a massive scale because public officials who know better are “looking the other way”. The refusal of the utility to remove what they had illegally installed led to the necessity for self help. Confronted with this situation, the utility’s proper and legal response should have been to acknowledge their error and either accept the analog meter McNinch had installed or substitute one of their own. Instead they chose to bully the customer into submitting to the illegal smart device with threats and then an actual shutoff. McNinch requested an informal utility hearing, but neither she nor anyone representing her interests showed up for the hearing. She lost that round by default. Her power was shut off the same day she failed to appear for her hearing. An informal appeal was next made to the Michigan Public Service Commission (MPSC). McNinch and her husband filed a lawsuit in Oakland Circuit Court seeking an injunction to require DTE to turn the power back on. A staff analyst with MPSC eventually sided with the utility, though there is no date on his decision. It is unclear therefore if his decision came before or after the lawsuit was filed. The only arguments put forward in the suit were that McNinch got headaches from the smart device and from the ‘opt-out’ device and that the utility was wrong to turn off power the same day the no show hearing took place. She argued that, since the written hearing decision did not come out until 4 days later, and there was a 7 day right to appeal, the power should have stayed on at least until the MPSC issued its staff report on the informal appeal. What is amazing about this lawsuit is that no argument was made that the smart device installation had been illegal or that the device was never actually authorized by any law or MPSC regulation. Nor did McNinch present any explanation as to why DTE’s alternative meter was not an acceptable solution to any health complaints. Nor did she present any evidence from worldwide health experts who have condemned smart ‘meter’ technology. Nor were privacy or Fourth Amendment issues raised in the court filings. She presented no argument as to why she was justified in changing her own meter. On top of all that DTE’s main argument for immediately disconnecting power without waiting for the hearing officer’s report was that McNinch had created an unsafe situation by changing her own meter. Incredibly no effort was made to rebut this argument. 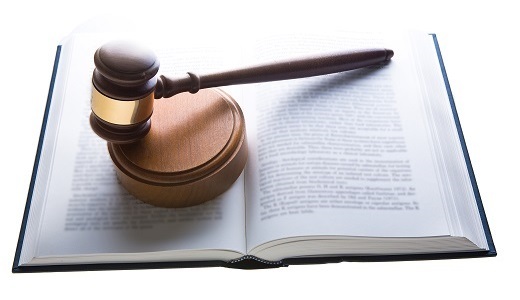 To win in court you have to present legally admissible evidence AND a legal theory (argument) under which you are entitled to relief under those facts. It is not up to the judge to come up with a legal theory if you fail to state one. The burden is on the plaintiff to make a prima facie case before any real burden is on the defendant. McNinch and her husband did not make a prima facie case. There are risks, of course, in representing yourself without an attorney. There are also risks in being represented by an attorney (if you choose the wrong one). Why do we analyze this case? When McNinch arranged the showing of the film “Take Back Your Power” she also bore the expense of bringing this film producer to Michigan to meet with us after the film showing. This led to a workshop wherein she and Mr. Del Sol convinced many people they had a winning legal strategy that could be implemented by sending DTE a series of letters. We expressed great skepticism about this approach in an article on this website in December. Our criticism of the legal tactics had to do with the concept of the “self-executing contract”, unsupported assertions and the use of biblical references rather than citations to prior court decisions. When it came time to sue the utility McNinch did not use any part of the “failsafe” legal strategy that she and the film producer had earlier promoted. When Judge Nanci Grant issued her decision she denied McNinch’s motion for an injunction to restore her power. What the judge did NOT do, so far at any rate, is issue a declaration that changing one’s own meter is, per se, an illegal act as claimed in the Channel 7 news story. Instead she ruled that, in this case, McNinch had not presented facts or arguments sufficient to show that DTE should be compelled to restore her power after she substituted her own meter for theirs. The case is still open and a further ruling is possible. If we labor all this now it is because we do not want others who might be thinking of a lawsuit against DTE to be in any way discouraged by the outcome in this case. We think that a well prosecuted case based on sound legal theory and verifiable facts has an excellent chance to win. We are just waiting now for just the right plaintiff to appear and we stand ready to provide whatever assistance we can! This entry was posted in Actions by Utility Companies, Legal Challenges and tagged DTE Energy, DTE meters, Legal proof of smart meter health symptoms, Michigan Public Service Commission, Michigan smart meters, Opt-out, Proving Smart Meter Health Claims, smart meter bullying, smart meter law, smart meter opt-out, Utilities and Health by Vigilant Dave. Bookmark the permalink. Go on a contract theory. There is nothing in the contract between the utility and the customer that requires the customer to use the utility’s meter. Or there is nothing in the law, or contract that says that a customer can’t have two meters. Ask what legal authority the utility claims it is using to force this meter onto the customers? And ask where in the contract did the customer agree to the utility’s meter? Theresa, the Stenman case, detailed elsewhere on this website, was based on contract theory. There is, however, a provision in the tariff (contract of adherence) that does require the customer to use the utility’s meter. The contract argument hinges on whether the ‘smart’ meter, with all its advanced capabilities, actually conforms to the definition of ‘meter’ that is in the tariff and in the statute. Unfortunately that argument, which should have been won easily, was struck down by politically motivated judges at both the circuit court level and the appeals court level. A proper law suit could include the issue of reckless endangerment. The companies know full well that there have been many fires and near fires caused by these “smart” meters, that the cheap combustible plastic of which they are made combined with design flaws are responsible. How can we be forced to have a fire hazard put on our homes? There are many aspects of this program and the way it is being implemented that should be challenged legally by a good lawyer. And we should all contribute to the costs regardless of where we live. A win for one would be a win for all of us. I am a bit angry at Ms. McNich at not doing her due diligence in adequately preparing for the hearing. She makes us all look bad, especially by quoting the bible. Some, probably most of us concerned with this hazardous technology are technical people, engineers, physicists etc. I am an atheist as well and do not want to be associated with individuals like her that only do our entire cause harm by citing stories etc rather than facts. It is illogical people that have allowed our constitution to be trampled on time after time, and Agenda 21 type policies to take over like a cancer in the world. Facts are the only thing that is going to get us out of this mess. It is a human rights violation. I want to remove my smart meters (one for my water heater and one for my electric) to protect my children and my developing fetus; however, contrary to your point and ironically I believe that they could/would turn it around and claim that the parents actions were reckless (if they are indeed parents) and perhaps get CPS involved. There IS such thing as medical kidnapping, so I would not be suprised. you talk about finding the right meter device but you didn’t identify the device by name or availability please give this information, thanks. Frank, I don’t believe I said anything about finding the right meter device. My references were to finding the right case or plaintiff to bring a successful lawsuit against DTE. DAVE,APPARENTLY I MISUNDERSTOOD THE REFERENCE.I HAVE A PRODUCT THAT REMEDIES DIRTY ELECTRICITY AND REDUCES EMR PLUS SAVING ELECTRIC ENERGY,IT IS A PROVEN PRODUCT THAT CAN BE DEMONSTRATED TO VERIFY IT’S VALIDITY,I WOULD BE GLAD TO SHOW YOU THAT DEMONSTRATION IF YOU ARE INTERESTED. This story is so sad, only partly because maybe it might have been avoidable. Instead of risking ending up being consigned to smart meter martyrdom, isn’t the whole idea to beat them at their own game? To legitimately make an end run around the purpose of the smart grid, to legally sabotage/subvert how a smart meter works? Wouldn’t installing a suppressor with sine tracking technology designed for this purpose, one specifically designed for the smart grid range of frequencies, one that can deal with wireless interference, have been a whole lot cheaper way to go than being stuck with lawyer and court fees and still ending up left in the dark? Face it, this is a drastically uneven playing field. The best strategy is to find ways to even out the imbalance of power, pardon the pun. That means that as long as any customer remains energy dependent or cannot or will not go off grid, all the utilities will continue to get away with abusing customers by acting like the customer is an addicted junkie with no options, while the utility is a drug dealer. Meanwhile the legal system mostly enables this imbalance to persist. Xy’s extended discussion of suppressor technology may be found on our new Suppressing Dirty Electricity page. DTE should be sued for endangering their lives. Turning off their power would cause their food to spoil which could lead to food poisoning and death. If they live in a cold climate they could get hypothermia(sp). Were there children treated this way also? This looks like a human rights violation. The fact that they are installing this new technology with out property owners given any choice is the horror of a monopoly and they should be stopped.